Last week SHAPE America released an awesome document and set of resources that provide step-by-step guidance and evidence-based strategies to support school recess for all K-12 students and enhance active school environments. 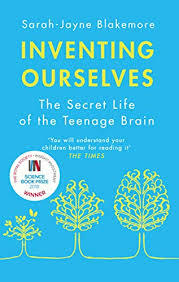 This great advocacy document, prepared in collaboration with the CDC and other partners can be used by teachers, administrators and other stakeholders to ensure that schools create environments that allow students to be active, in ways that they choose, while taking a break from academic work during the school day. This is a milestone in our quest to increase children’s physical activity levels. Daily recess, monitored by well-trained staff or volunteers, can optimize a child’s social, emotional, physical, and cognitive development. Recess contributes to the recommended 60 minutes of daily physical activity for students and helps them apply the knowledge and skills they learn in an effective health and physical education program. In addition, recess supports 50 Million Strong, SHAPE America’s commitment to empower all kids to lead active and healthy lives. 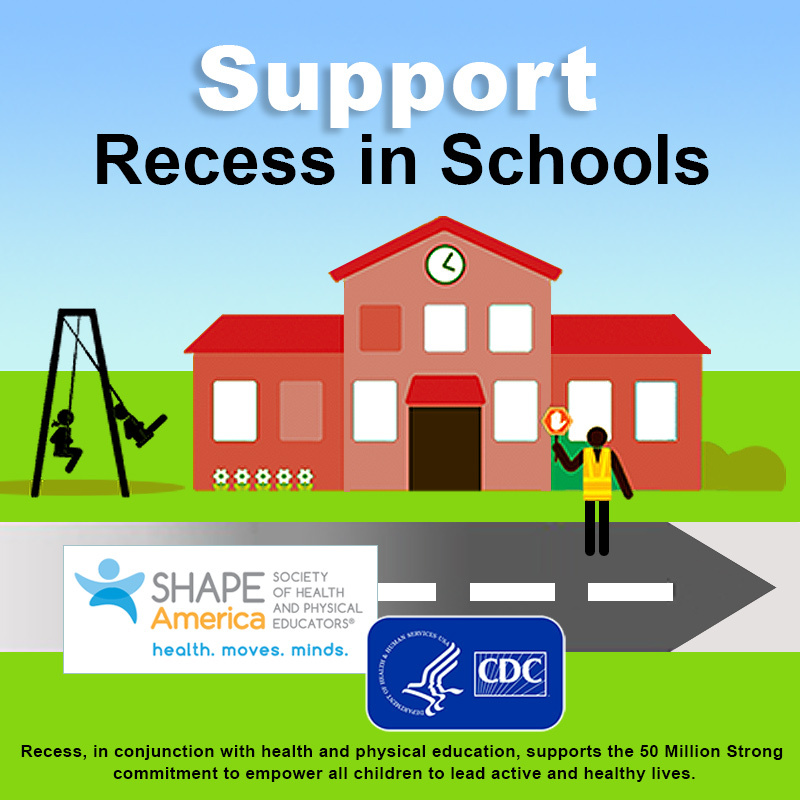 – SHAPE America Chief Executive Officer E. Paul Roetert, Ph.D.
As health teachers we know that recess allows students to take some of the health skills that we teach in the classroom and practice and apply them in real life settings. Recess gives students the opportunity to practice health enhancing behaviors in the larger setting of recess, a setting in which all students are free to interact irrespective of academic needs, functional limitations or physical disabilities. Although the physical nature of free play during recess increases the level of activity that students can get during the day, it is the social and emotional skills that can be developed at this time that many health educators will be interested in. I asked some educators in the #Healthed Voxer group what their views were on increased student access to recess. Judy acknowledges that recess can help our students practice social skills such as cooperation, following rules, problem-solving, negotiation, sharing, communication and conflict resolution. In the Voxer chat I also heard from our National Health Teacher of the Year, Melanie Lynch who saw ways in which health teachers might be able to help make the recess environment more engaging. All educators should be in support of these recess strategies as we know that active students are more likely to positively engage in classroom activities, and that being active can enhance cognitive performance. Additionally, a well-organized recess plan can also reduce bullying and exclusionary behavior thus helping our students feel safe and more engaged in school. This in turn can lead to higher levels of school connectedness, contributing to a positive school climate. As health and wellness educators it is important that we support and spread the word about this document and the importance of recess. We should be discussing this with other teachers, administrators, students and parents so that they too can be vocal and advocate with us. In addition to reading the documents you can keep the conversation flowing on social media using the hashtags #SHAPErecess and #recess. You can also download a digital badge to show your support of recess. If, like me, you are heading out to the national convention in Boston in March you can attend the recess session on Tuesday 14th at 9am. Look out for Jorge Rodriguez’ Global Physed Voxcast interview with recess advocate Dr. Debbie Rhea. recess is especially necessary these days with schools being so focused on cramming ever more content into a school day. But recess needs to be “Freecess” where the kids are not burdened by too many guidelines or rules the adults have placed on them. It is a challenge for teachers or supervisors of recess to stand by and let children sort out differences their own way, but that needs to happen so kids are aware of their actions.